A new Mineheart collaboration with fantasy illustrator Courtney Brims has created this beautiful Wood veneered cabinet etched with a stunning intricate design. 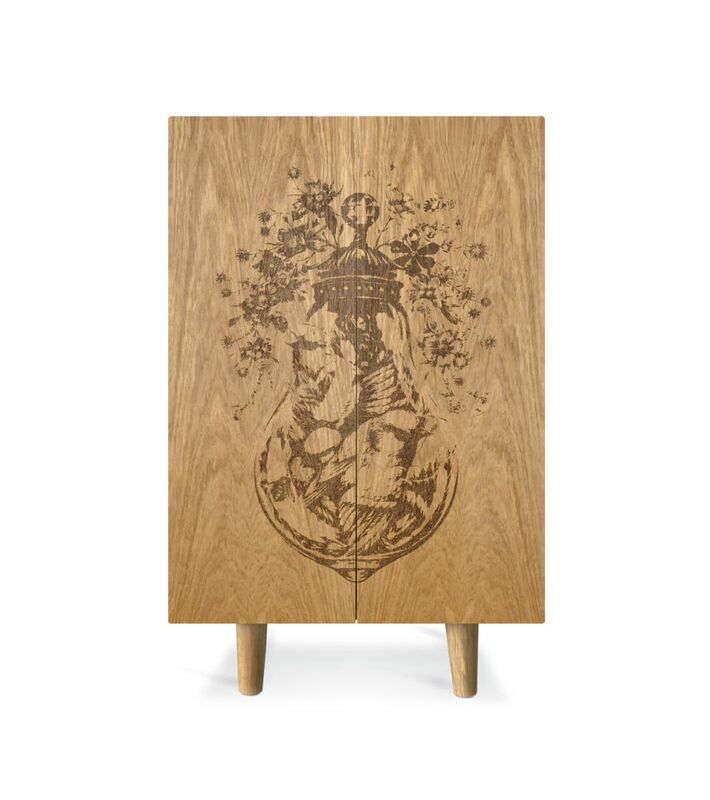 A new Mineheart collaboration with fantasy illustrator Courtney Brims has created this beautiful Wood veneered cabinet etched with a stunning intricate design. Courtney is inspired by the natural world her delicately illustrated pieces often combine flowers and animals with images drawn from myth and legend. In this design birds, butterflies and moths alight on a bejewelled cage complete with inlaid crystals making it reminiscent of a regal crown. Indispensable in any room, it can be used as a cocktail cabinet, for clothes or even glamorous office storage. Designed by Young & Battaglia with artwork by Courtney Brims.